In the framework of the Innovation Radar programme of the European Commission, IRSUS project has been selected to bring European research and innovation to the next level. IRSUS project was launched in December 2017, and in the first half of 2018 – through social media and email campaigns – it has reached Innovation Radar innovations and innovators, who expressed their interest in the personalised services and knowledge pills offered by the consortium. More than 50 innovations/innovators have been assessed and categorized so far based on their maturity, in order to provide the appropriate support and training to help them reach the market and achieve commercial exploitation. IRSUS consortium developed specialized services (including opportunities identification, personalized services like fundraising assistance and training on-demand). Training sessions are already scheduled and a first batch of 10 are under progress, including UX/UI design, Financing Modelling, Public & Private Fundraising and Agile methodologies. Result of interviews with innovators during the first months of the project. Launch of an open call for innovators to enlarge the portfolio. Plans on IRSUS trainings and service portfolio roll-out for the rest of the year. The objective is building a portfolio of innovations ready for investment and expansion. The dissemination strategy (with weekly blog posts) have brought a growing number of visitors to the IRSUS website. IRSUS consortium will use its channels to build an ongoing communication with European innovators and attract new stakeholders towards the European innovation ecosystem. 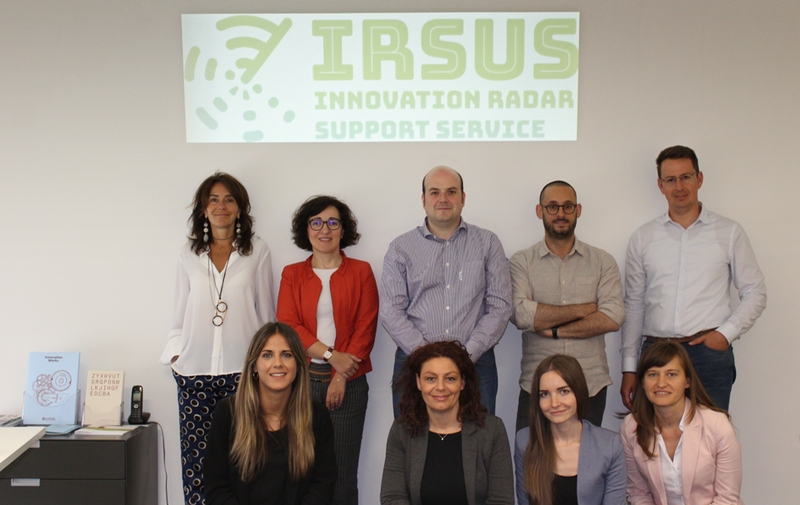 “We are very happy to meet and assess European innovations and innovators with the framework of the Innovation Radar and are very happy to start the first IRSUS trainings to support the commercialization of European R&D results” – said Miguel Garcia of Zabala (consortium lead). For more information about IRSUS project please follow us on Twitter or contact info@irsus.eu!